Morning sickness is one of the most common symptoms that most women experience during their first-trimester pregnancy. Suffering nausea and vomiting especially after getting up in the morning is a typical sign of the symptoms. Fluctuation in hormones with the rising level of Human Chorionic Gonadotropin (HGC) and estrogen, low blood sugar and a rise in bilirubin levels are widely believed to be the causes of morning sickness. The level of hormones can vary according to the genetic and cultural influences. Morning sickness makes the pregnant women uncomfortable and unpleasant or even can be dangerous to the growing fetus if some go through the lengthy period. 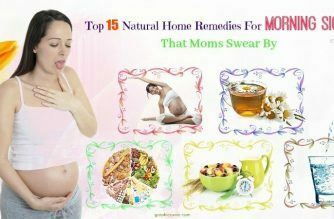 This article will show you top 15 simple, natural but effective home remedies for morning sickness for expectant mothers. 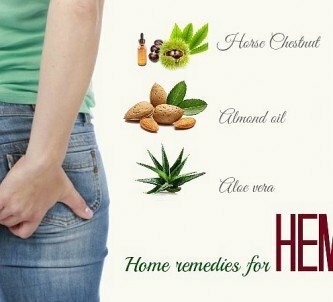 The traditional remedies have been used for thousands of year and considered as the most effective way of dealing with nausea and vomiting. Acupuncture uses special thin needles to push through the body to hit some nerves. The alternative helps the women calmer and control pain. Acupressure refers to that using fingers to push some points on the body is to relieve stress and nausea . You have to find the pressure points on your boy and practice it by putting pressure on your inner wrist, collar bone, or thumbs at home. Tea made with red raspberry leaves: Follow the same recipe as the second. However, some research indicates that this leaf can trigger uterine contraction. Thus, only use it after consulting a doctor. By using natural oils such as ginger oil or peppermint oil, aromatherapy is a remedy for psychological and physical enhancement. It is also helpful for improving digestion and strengthening the immune systems. Potato chips are the favorite snack of many people. If you are the same, you can also use this snack to treat morning sickness. In a point of fact, eating potato chips helps to reduce the feeling of vomiting because this snack helps your stomach calm. Moreover, when you experience morning sickness, the saliva is often over-produced, which leads you to the condition of nausea. Also, the salt in potato chips makes the saliva dry. You just need to consume some potato chips every day. Peppermint contains an anaesthetic property that can help to calm the stomach and reduce nausea. Make peppermint tea by adding 1 tbsp. of peppermint leaves to a cup of boiling water. Steep it for 10 minutes and strain it. If desired, add sugar or honey to it. Drink this tea slowly. Or, you can add some drops of peppermint oil to a cloth and then inhale the smell. Sucking on peppermint candies is also very effective. Not many people know the enormous outcome of drinking a lot of water in improve the morning sickness symptom. Bringing bottles of water with you anytime and drinking a glass every hour can help your starting of a new day more enjoyable. Consuming enough water also makes urine virtually clear. Bentonite clay has been used to treat morning sickness by African women for some centuries. It reduces the bad bacteria and increases good bacteria and probiotics in the gut. In addition, it helps with well-functional digestion system and thus alleviates morning sickness. The aromatic fennel seeds can be used to calm your stomach and give quick relief from morning sickness. In addition, the anesthetic components in fennel seeds aid in fighting nausea. Chew on 1 tsp. of fennel seeds after each meal to aid in the digestion process. Or, you can try fennel tea. Add 1 tsp. of the crushed fennel seeds to 1 cup of boiling water. Then, steep it for some minutes before straining. Now, add some drops of lemon juice and 1 tsp. of honey to the tea before sipping it. Vegetarian products: They play an indispensable part in supplying antioxidants and fiber. Ginger: Traditionally, gingers are used as a remedy to cure nausea due to their ingredient gingerol. Starchy foods: It is a source of beta-carotene because they contain much carbohydrates and low fat and salt. Fresh Fruit: Fruits like kiwis, barriers and melons are rich in vitamin, water and fiber. Health fats: Seeds and coconut oil are sources of essential fats. Soups: They are involved in creating collagens and electrolytes for human body. Healthy fats: Avocado, seeds and coconut oil are essential fats for the body. Vitamin B12 can contribute to reduced fatigue and easy digestion. Salmon, beef, lamb, , scallops,shrimp, or yogurt are these rich-in-vitamin 12 foods. The juice extracted from a handful of fresh curry leaves, when mixed with lemon juice and sugar, is one of the Ayurvedic home remedies for morning sickness. Press a handful of curry leaves on one sieve to extract its juice. Add 2 teaspoons of lemon juice and 1 teaspoon of sugar or honey and mix them well. Drink this mixture 2 or 3 times per day. A lack of appetite or even loss of cravings for food is typical of the expectant mothers during their first three-month pregnancy. A generally accepted explanation for this is the body’s ability to prevent the embryo from exposure to potentially toxic food substances. Therefore, it is not appropriate for you to compel yourself eat unfavorable foods whether they are highly recommended by doctors and nutritionist. Rather than, your choice of healthy foods that agree with you is beneficial. Foods that contain alcohol and caffeinated drinks: Avoid using them not only throughout the early period but during pregnancy because they have detrimental effects on the embryo. Foods that are high in fat particularly hydrogenated fats and trans fat: Fried foods are proved to be bad for our digestion. 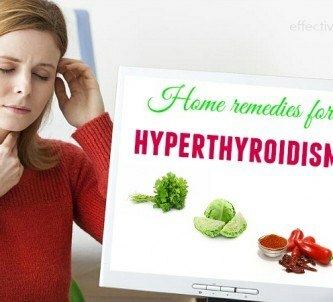 Packed foods: They can cause a lot of problems for the mother such as dizziness. Strong-smelling vegetables: They enhance vomiting and nausea, so keep away from them for some weeks. Low-quality food: They contain pathogens and parasites leading to growing bacteria. Red raspberry is beneficial for soothing the muscles of your uterus, which facilitates your body to be ready to give a baby. Furthermore, consuming the red raspberry tea can aid in improving the blood circulation and strengthening the immune system of pregnant women, which are beneficial for combating any diseases during the pregnancy time. Take one teaspoon of the dried red raspberry leaves and then add them to a pot. Pour a cup of clean water into the pot. Boil the pot for 10-12 minutes and then strain the mixture. 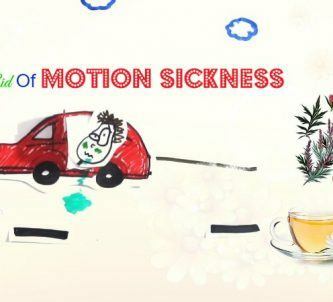 Consume the tea slowly to get rid of the feeling of nausea quickly. A balanced diet, relaxation, vitamin intake, small and frequent meals, kinds of fresh foods, herbal tea, traditional treatments, and exercises are the key factors to alleviate the symptom of vomiting and nausea. Applying some of these natural home remedies for morning sickness that moms swear by will help you to ease your worry about this issue at the first period of pregnancy. 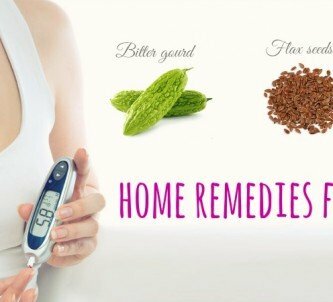 Visit our Home Remedies page to find out more about some valuable remedies for common health problems.